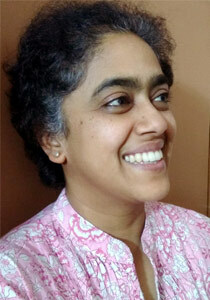 Bindu Gopal Rao is a freelance writer and photographer based in Bangalore. She has been a writer for the last 17 years and has written on a variety of topics including travel, food, realty, business, celebrity interviews, health, spas, resort and hotel reviews, fashion and women related stories. She has been published in several magazines and newspapers, as well as online portals. AIRDA’s content team talks to Bindu about her vacation at Club Mahindra Kandaghat, where she stayed on a special assignment. She talks to us about how uniquely different this holiday experience was for her, right from the minute she touched down. Q: What were your first impressions of Kandaghat, and your stay at the resort? This was my first visit to Himachal Pradesh and I was looking forward to seeing a new state, as I believe each state in India has its own unique calling. I was fortunate that I was at Kandaghat which is an offbeat destination and something that I personally relate to as a traveler. The resort itself is nestled amidst the lower Himalayan range and it almost feels like it is in the midst of a hill range. Just like the location, the activities here have a lot to do with nature, like treks and more. I however enjoyed the bird watching here as I am a keen birder and was lucky to spot the red billed blue magpie for the first time. The resort is designed aesthetically and looks like a palace with a nice white façade. Set within a landscape of blooming flowers, the resort never feels intrusive and blends with its surroundings quite seamlessly. In fact the myriad hued flowers and large variety of roses (in almost all colors) are a big attraction here. Q: What was your room like, in terms of interiors and comfort levels? I stayed in a large room that was comfortably furnished and had a living space contagiously with the bed. A small kitchenette was also part of the room and a large attached bathroom and balcony ensured I had a lot of space. Q: What was the food like at the resort? Did you try something traditional? As a resort that prides itself on its food, every meal experience here was a great one. The focus on local cuisine is wonderful and I did experience a traditional dham or sit down dinner as well. The Chefs at the resort are very approachable and always ready to cook what you need. Q: What are you comments on the service levels at the resort? The service standards of the hotel are impeccable, and on par with any reputed hospitality establishment. All my needs were taken care of, and on time. Q: What activities does the resort offer, on campus and outside campus? The hotel has an activity room as well as a complete play area for kids. This apart they have activities like paint ball and yes, Himachal Pradesh’s longest zip line. There is a guided trek that is not very easy to do, so be prepared with the right gear. There is also bird watching and nature walks that are done. 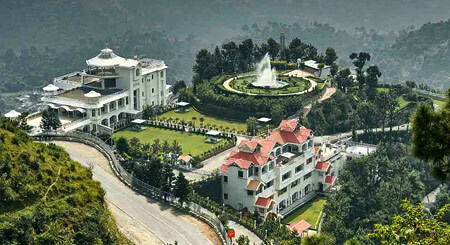 This apart, trips to Shimla can be organized at an additional cost. Q: After your Kandaghat experience, would you be tempted to try a timeshare plan? Yes I would try the same as I believe that timeshare resort rooms are very different from regular hotel rooms. For one they are definitely larger and are usually equipped with a kitchen / kitchenette. I think the key with timeshare is to invest in a reputed chain of resorts. At a mere 25 km from Shimla and 96 km from Chandigarh, the Club Mahindra Kandaghat resort is easily accessible by train and road with excellent connectivity. Spread over 14 acres, the resort is surrounded by green lawns and a beautiful blooming garden. Accommodation is in elegantly done-up apartment blocks that open to beautiful views of verdant forests around the property. You will never be bored with the colorful sunsets and walks around the herb garden while enjoying the state-of-the-art facilities at the Kandaghat resort. But in the off chance that you want to explore the neighborhood, do not forget to explore the hiking routes and catch a view of the mighty Karol Tibba of the Greater Himalayas. Get ready for a holiday where you do nothing but take in the spectacular views around you.